Top 5 Wednesdays was created by gingerreadsLainey and there is a Goodreads group where you can find a list of participants as well as Top 5 Wednesday topics﻿. The end of the year is near and it's time for some New Year resolutions. That's right, this Top 5 Wednesday is my first step towards me goals for 2016. The topic for this week is "Series You Want to Start Next Year" and my goal for next year will be to start and possibly finish 5 series, but only if I manage to complete 5 of my unfinished series, which are way to many. 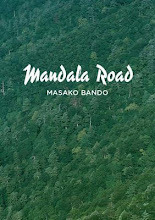 So for every finished series from my pile, I will start a new one. The first book came out in 2008...You can tell I'm late, can't you? 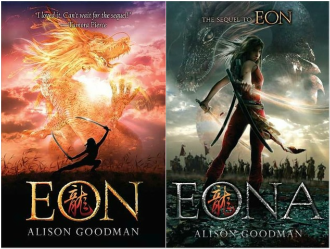 I've heard mixed things about this duology, but hey - there are dragons in it. Isn't that cool?! I've finally bought these books this year, so next year I would love to give them a try. Hopefully these books will be horror enough for me. The last book in this trilogy came out this year, so now after the series is finished, I can finally read all of the books. I can't wait. Yep, I have yet to read this well-known series. After all the hype it's getting, I'm really hoping that the books won't disappoint me. Steampunk is definitely not my favorite genre and I'm having a hard time finding steampunk novels that I like. But you know what ? - Just look at these gorgeous covers. I don't even need to read the synopsis. I know that these are some old series, but I don't really care. They are all finished and I don't have to wait for the next books the come out, so that's one of the reasons they are with top priority when it comes to starting some new series. 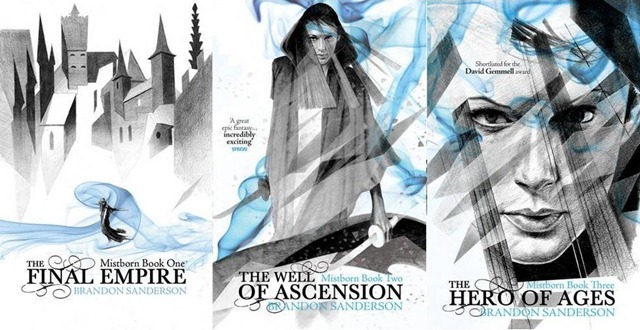 The Mistborn Series seems like it's a top pick for 2016! 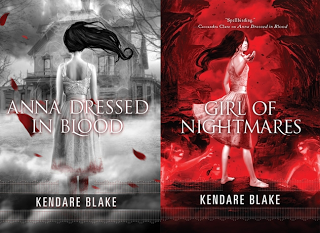 Oh my god I want to start the Anna Dressed in Blood Duology too! I think it sounds so interesting, but I've heard a few negative reviews and got scared. 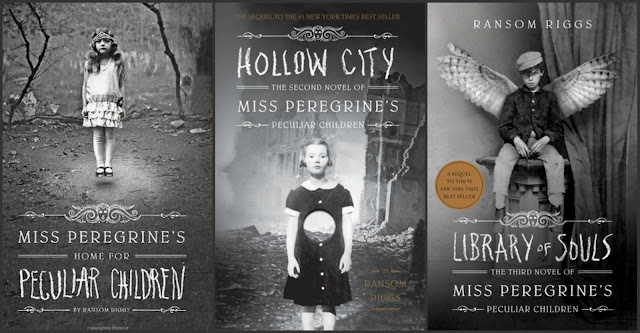 I want to read Ransom Riggs trilogy too, but I didn't add it to my list. Oh gosh the Mistborn trilogy! I've heard so many great things and I have been wanting to get into some more serious high fantasy recently. We should totally do a read a long! I hope you like the Anna duology! I really liked it when I read it a while back. I also did a T5W post here!